The Technical Update adds achievements, a new map, and a support class to the F2P mech shooter. The only thing more exciting than shooting your fellow man in a friendly online deathmatch is doing so with large robot suits. 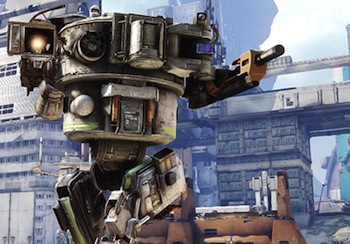 That's the thinking behind the free-to-play mech shooter Hawken. While not officially released, Hawken went open beta in December 2012. In modern game development terms, that usually means that everything's working, but expect massive content patches and slight retweaks. This week, Hawken players are getting a few new toys to play with thanks to the Technician Update. The star of this update is the Technician support mech. Equipped with the Helix Repair Torch, the Technician can hang back and repair allied mechs. It's more than just a medic though, as the repair torch is just as good at removing the armor of enemy mechs, and the new chemical rounds cause targets to take more damage from allied fire. The Technician comes equipped with a new ability and item as well. Amplification temporarily boosts the power of the repair torch, while Blockade lets the player drop a vertical shield for a short duration. Along with the update comes a new achievement system. Far from being just another way to compare the girth of internet egos, these new Service Awards also dole out credits (and in one rare instance, the paid currency). While new accounts used to start with 5,000 Hawken Credits, players will gain large amounts of their in-game cash through unlocking achievements. However, to get make the new system work properly, Adhesive Games will be resetting a select few player stats (such as kills and deaths). The new map is called Front Line, which features two sides with remarkably different architecture. The update notes refer to a more open level design, which should make playing a fragile support mech interesting. In a previous life, Front Line existed as an unskinned map called Valkrye in the early alpha release. The new map supports all game modes.